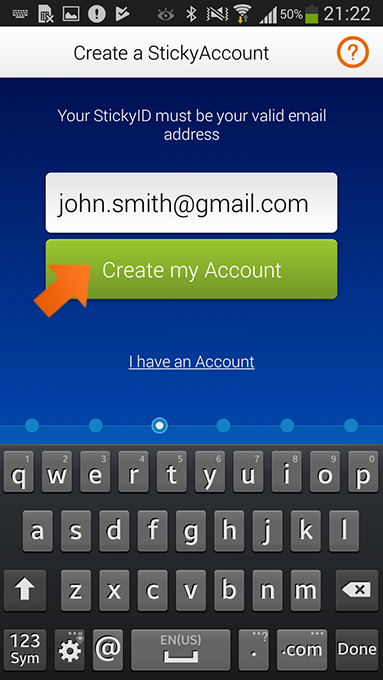 Are you searching for a reliable way to manage your passwords on Android? You should get a reliable password manager. What are the Best Password Managers for Android? Passwords protect the user’s privacy from unwanted access by cyber criminals. If you use simple or memorable passwords, hackers can guess them and access your money easily. Have difficulty in creating or remembering complicated passwords? That’s not a problem. A password manager will help you create and remember a strong, unique password for every website. 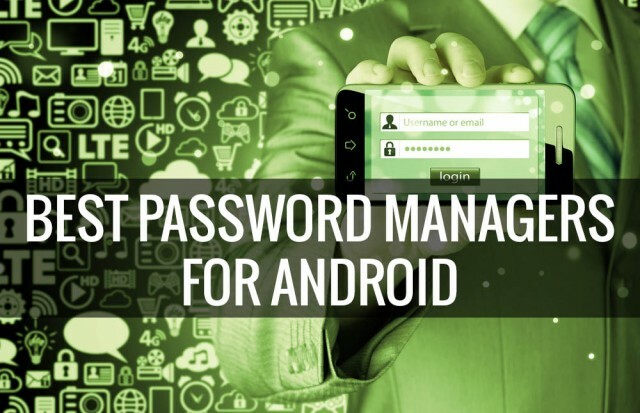 In this article, we will show the best Password Manager for Android 2019. 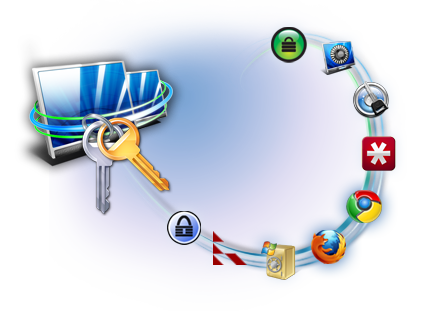 Password manager is a very useful tool which helps you manage your passwords to a variety of websites and applications. In those days, you have to set and remember passwords for Gmail, Outlook, Facebook, Twitter, Amazon, Tumblr, Reddit, Netflix and Online Banking etc. etc. These are just a fraction of your online accounts and you need to remember all of their details. It takes much time and energy to do this job. This is how password manager helps. It creates secure access data for the user by generating strong and unique passwords for all accounts. When it generate passwords, you can determine how long the password should be and which characters it should contain. It lists your existing passwords and checks if they are safe and warns you in case a password is being used multiple times. And, it suggests the ways you can improve that strength. It has the ability to share those passwords with a third party in the most secure manner. You will be surprised by their amazing features. When you hear a password manager helps you store password, you may think it just works like your browser which stores your logins information and auto fills them when you log in. In fact, they are totally different. They help you generate uncrackable passwords and secure them with the highest encryption standard. Do you use simple passwords so as to keep them in mind easily? Do you use the same password on every website? You should note that simple, memorable and reused passwords are easy for hackers to guess. If you use the same password on many websites, even a strong one, a security breach on one site exposes all your logins. It is necessary to know that most data hacks and breaches are caused by simple and reused passwords. The good news is password manager is able to generate strong passwords for you using a combination of letters, numbers and special characters, and stores them all in an encrypted vault. Likewise, it assists you to identify the weak and duplicate passwords and replace them with tough ones. Many password managers mark weak and reused passwords and the update process is offered alongside. Some password managers even update weak passwords automatically if you like. Someone may wonder if it is worth to invest a password manager. The answer is yes because hackers are constantly developing new methods to crack passwords. After they access your passwords, they take control of your accounts and steal money from you. We all know that long and random passwords are strong, but some users don’t want complicated and unique passwords because they are not good at remembering passwords. There is no need to strain your brain trying to come up with something strong and unique. The password manager remembers all of them for you and shows you whenever you need them. Leading password managers use military-grade encryption to protect your passwords and other information, so you can feel safe to store your data. How to Get Started With a Password Manager? Is it difficult to use a password manager? Does it require computer skill to operate? Password manager is very easy to get started and use. After you select a satisfied product, download and install the software on your loved device. Simply set up an account, pick up a master password and add some personal information and you should be good to go. You can choose to import data from other application or add information manually. After you install the software, it will allow you to save as many logins and passwords to as many different websites as you want. That’s all you need to do. Download, install, create master password and add information you want to store. Then, the password manager will take care of rest. Like we mentioned, a password manager not only stores your passwords like the browse does. It also creates strong passwords for you. You can add other personal information, such as email address, social security account, phone number, shipping addresses, credit card detail and more. It is able to fill long form when you shop online and sign up a service. It works like am encrypted vault, storing your important information in a safe place. It allows you to share and sync your passwords, letting you cooperate with your partners conveniently without concerning about information leak. Learn more about the detail benefits. A password manger protects any information you store on it, including passwords and other sensitive information. According to experts, hackers use a variety of methods to commit password theft. A common method is known as a Key Logger attack. The hacker will send the victim a fraudulent email designed to look like an official email from a known company. The email contains an attachment which installs a program onto your computer without your knowledge. Once it’s installed, it is able to grab any information you use on the computer. Reliable password managers utilize AES-256 encryption and support two-factor authentication to keep your information untouchable. AES-256 encryption standard is used by leading bank and government agencies. Your data security is guaranteed. To use the password manager, you need to create a master password which will protect the rest of your passwords. To give you extra protection, the password manager developers implement the two-factor authentication feature. When this feature is activated, the password manager will request not just the master password but also your fingerprint or a specific physical token, keeping your personal data safely encrypted. Some other products may require a confirmation from an authentication app, so a theoretical cybercriminal will not be able to access your passwords even if he somehow gets his hand on the master password. Different password managers use different methods to store your data. Some password managers and generators store your encrypted login info on your hard drive, while others will upload your details to their own servers, enabling you to access them from any Internet-connected device. Some other products offer a local storage of access data often provide the additional option to store the data in an encrypted form in the cloud. Another option for data backup is saving to a USB stick. Particularly users who work on different computers with their passwords benefit from this. In addition, it protects your sensitive transactions automatically when you visit a financial website. Most of the popular passwords include a Web form-filling component. They allow you to save information such as driver’s license details, passports, software licenses, as well as document storage. With your consent, password manager auto fills form with the stored information. 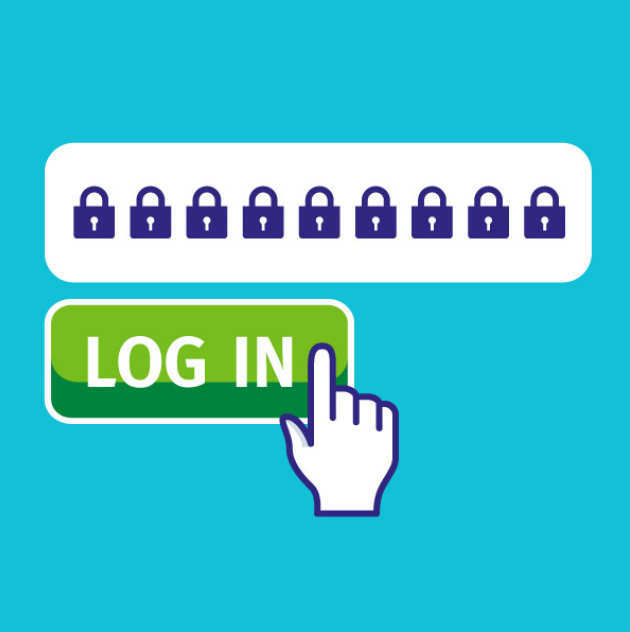 When you log in to a secure website, it offers a choice to save your credentials. When you return to the same website, it is able to automatically fill in those credentials. Some password managers immediately fill all recognized fields. Some pop up and ask what you’d prefer when you click in a field. Some asks for your permission when you are about to fill form. Many password managers offer a browser toolbar menu of saved logins, so you can go straight to a saved website and log in automatically. If you’ve saved multiple logins for the same website, the password manager offers you multiple account login options. You can save time in typing the long shipping addresses or credit card numbers every time you shop online. Password manager’s form filler is a huge time-saver. Working in the same company, you may use many same account and passwords with your colleagues. After creating a collection of accounts and passwords, you may send them to your partners directly. However, you need to make sure that the process is safe. The snoopers or your competitors can intercept your session and steal confidential information. Password manager helps you get rid of this concern. The advanced password managers have a built-in mechanism for securely sharing passwords with other users. They let you share a login without making the password visible and some let you revoke sharing. The session is encrypted and others won’t be able to snoop at it. Some products require the recipients to install their clients to view the shared data. You can allow the recipient to make a change of the passwords and sync the change. It is possible to the shared password read-only. Popular password managers also let you sync passwords across all of your Windows, Mac, Android, and iOS devices. Some even let you authenticate on iOS or Android with your fingerprint or face rather than typing the master password. This is an extra layer of protection. Most include some form of two-factor authentication. They can be biometric, SMS-based, Google Authenticator, or something else entirely. In addition, password managers include digital inheritance options. To use this feature, you need to enter an emergency contact and set a time-out period. If your emergency contact tries to access your password within the set time, you will receive a notification and will be able to decide how to proceed further. Once the time-out period has passed, the recipient will automatically obtain access to your account. Your loved one will be able to access your digital inheritance in case something bad happen to you. 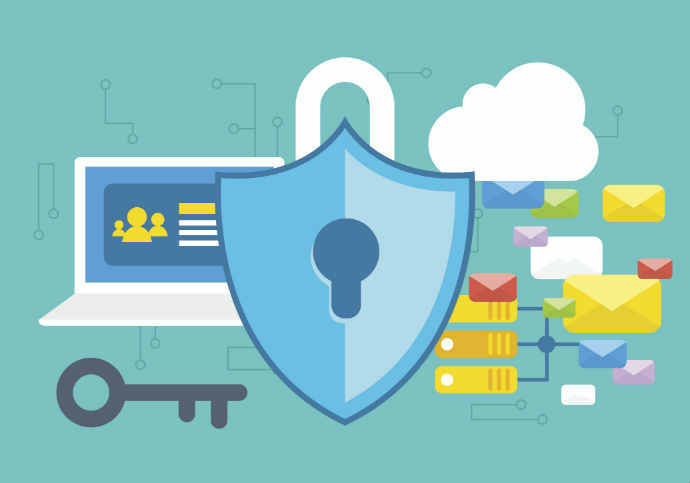 How to Choose the Right Password Manager? The price of a password manager is often an important factor when picking a product. The costs vary depending on the provider and the license model. Like other products, there are both free versions and premium version. The free versions are usually limited in their functionality. The premium services offer more features. We are not saying that the more expensive the product is, the better. It depends on what you need. If you don’t need the extra features, they are useless no matter how popular they are. Free or Paid? When it comes to security and storage you aren’t talking about cheap access and equipment, reputable companies will have the very best policies and practices in order to keep you safe. Some companies may offer free software, but they can monitor your activities and collect personal information. You should think twice if it is worth to use a free password manager to put your information at risk. Besides, free ones come with limited features. You may not be able to share or sync passwords. Some only can be installed on one device. Paid password manager gives you more protection in place. They are equipped with more advanced features. Your data will be secured by higher encryption standard. You pay for the service and it’s their job to give you the best protection and experience. 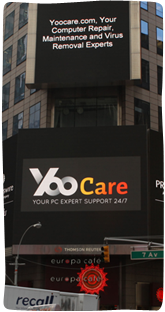 They also provide instant and helpful customer support to fix your issue in time. It does not require much computer knowledge to use password manager. If you have any tech issue, simply contact the support. Of course, the right password manager should be a good password generator, creating a completely random and secure password for you. It also is supposed to allow unlimited password storage and unlimited devices. We have too many passwords to remember in this age. It will be meaningless if a password manager can’t store all of your passwords. When it allows you to run the software on many devices, you can access your important information from anywhere at any time. The product you select should allow you to import and export from multiple sources. It lets you import them from a browser, spreadsheet or other products, so you don’t have to add them one by one. When you type or create new passwords, the password ought to be able to auto save them. At the same time, security center should be available to help you analyze existing passwords and determine their security scores. In fact, advanced products also help you upgrade your weak and compromised passwords. Password manager should be able to detect your compromised passwords and inform you in time. It will change passwords for you to avoid loss. 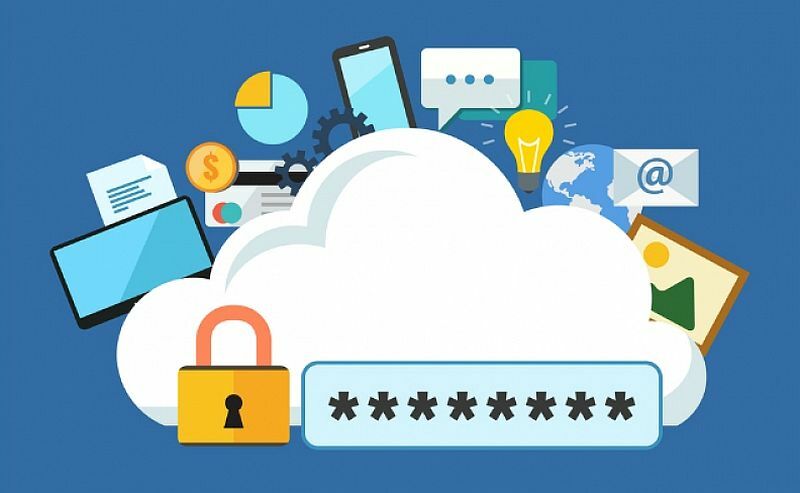 Backup and secure sharing services should come along with great password managers, so you can restore data if there are any issues and share confidential information with your partners safely. Besides, the leading password managers offer cloud services for auto syncing across devices like icloud and Dropbox etc. These are only few main important features you need to consider when selecting a satisfied product. Pick the right one and avoid wasting money on unwanted product. Our team tested a large number of password managers in the market and sorted out the useful ones with high reputation. Dashlane, Sticky Password, LastPass and RoboForm are recommended. Dashlane is another app that has been around for a while. It features the basics, including support for passwords, credit cards, and other sensitive types of information. It also handles support for auto-filling passwords on websites and apps. You’ll be able to make backups locally or over the cloud. The encryption is 256-bit AES which is definitely good enough. You can use most of the features for free, but you’ll need to grab the subscription if you want all of them. It’s one of the more solid password manager apps. Sticky Password Premium does everything you’d expect from a password manager, though it lacks advanced features such as digital inheritance. The app works on PC, Mac, Android and iOS, supports fingerprint authentication on mobile, is available as a portable USB version and offers lots of sync options including Wi-Fi syncing with local devices. If you choose the unusual no-cloud Wi-Fi sync, your passwords never leave your home network. 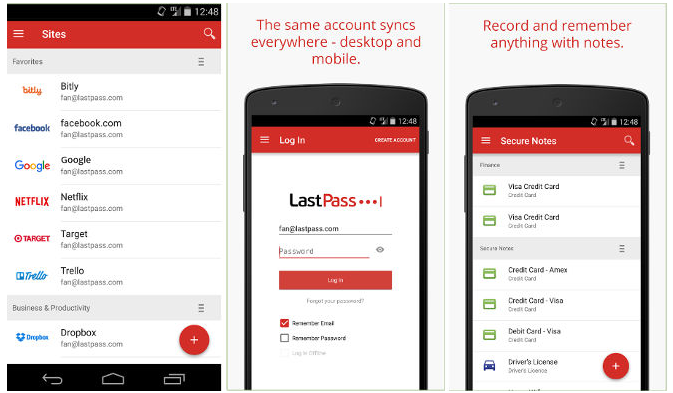 LastPass is about as mainstream as it gets when it comes to password manager apps. 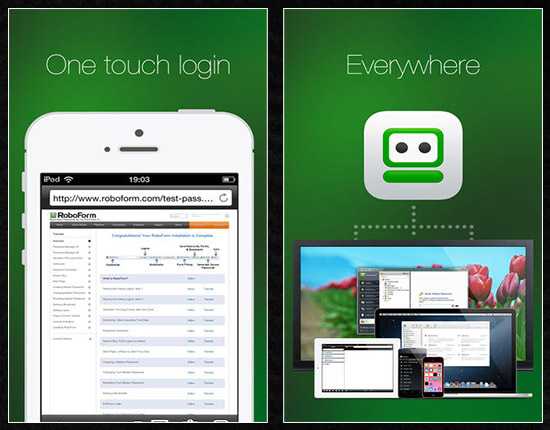 It has a metric ton of features, including auto-filling passwords into apps, sites, and even forms. It also allows you to store photos and audio notes securely. There are several other more unique or uncommon features such as fingerprint scanner support, a password generator, a password auditor to let you know if your password is weak, and even the ability to grant emergency access to a friend or family member. 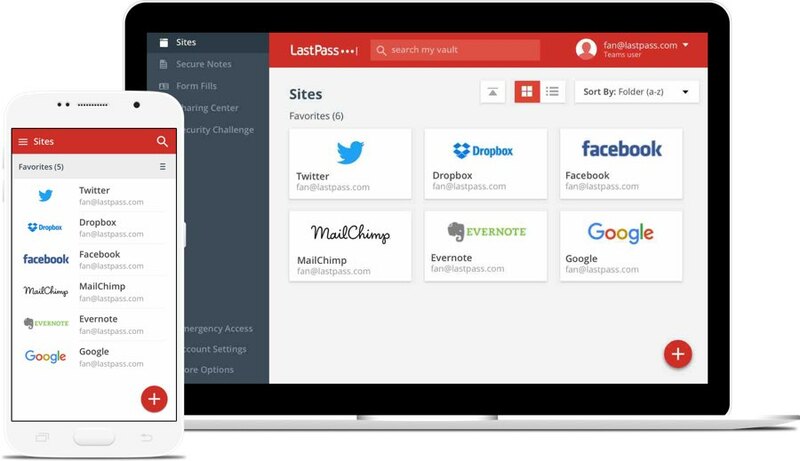 LastPass allows you to import your entire saved login credentials — usernames and passwords — from Firefox, Chrome, Edge, Opera, and Safari. You can use the core app for free but you’ll need a subscription if you want all the features. You can also grab LastPass Authenticator in Google Play to add 2-factor authentication for added security. 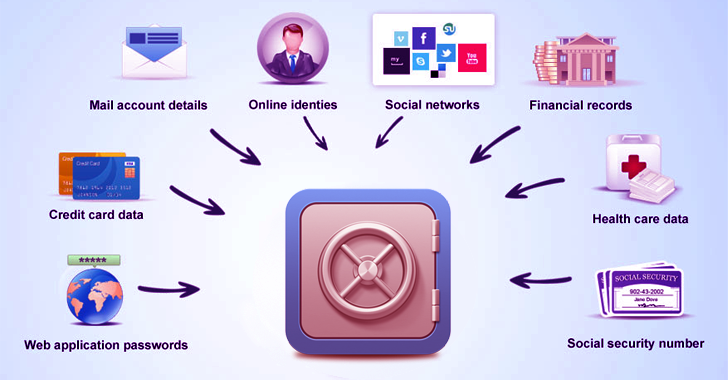 An online password manager is a type of password management system which can generate unique and uncrackable passwords as well as providing encrypted password storage. Password managers become more and more popular as password theft is one of the simpler ways hackers are able to steal users’ identities, obtain sensitive and confidential information, and retrieve banking and payment details. Password manager creates powerful passwords, replaces weak passwords, stores them securely, auto fills web forms, lets you share, syncs & backs up passwords for you with few clicks. You can keep everything organized, safe and convenient with less effort on your side. Get a password manager to keep track of your entire passwords so that you can access all of them from a single place. 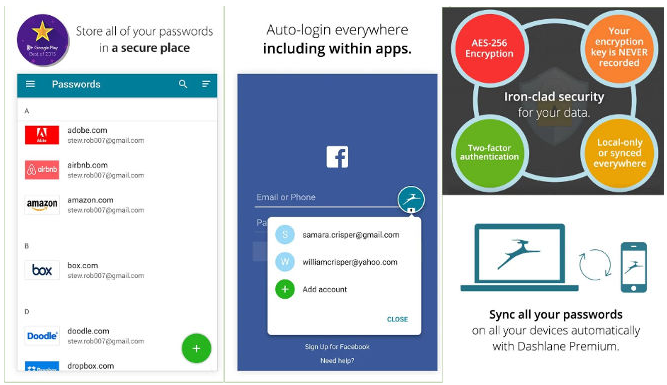 Dashlane is most popular with high rating and it willl store and manage your passwords securely. Get it for free today!